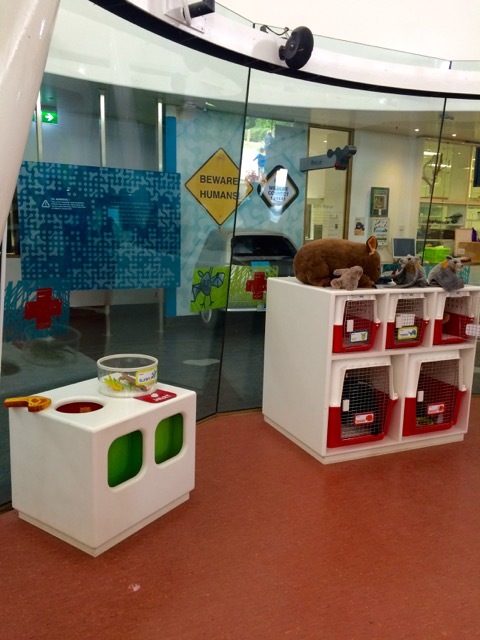 We love visiting the Healesville Sanctuary a few times a year. Last time we visited, there were quite a few renovations taking place so we missed out on a few exhibitions. This time we didn't get to see to visit the Lyrebird section or the Land of Parrots areas because of bird health checks and didn't make the Spirit of the Sky show due to time restrictions but we had lots to see and do regardless. We enjoyed the reptile area with lots of snakes and frogs to look at. We also checked out the Animals of the Night area with lots of little nocturnal animals (some children did find the darkness factor an issue) but little Miss was fine with it. We loved the wombats and Tasmanian devils. Little Miss found it cute to see one of the wombat cuddling a soft toy. We stopped at a small playground and had a snack and followed it with the 'Tales from the Platypus Creek' show. 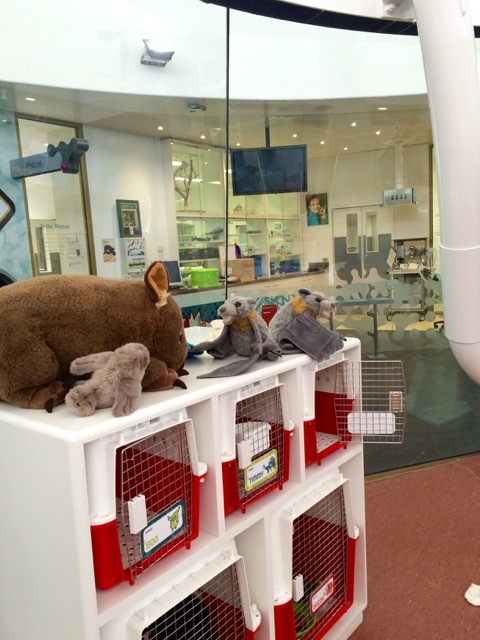 We did make sure we visited the new Wildlife Heroes Indoor play area within the Wildlife Hospital. 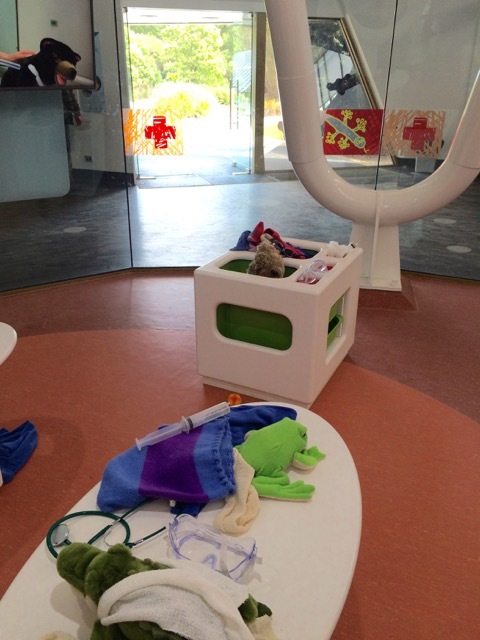 The new indoor play space was designed especially with little heroes in mind. Little ones can play and dress-up as a wildlife hospital rescue team member and care for, undertake procedures and nurture their own plush patients. 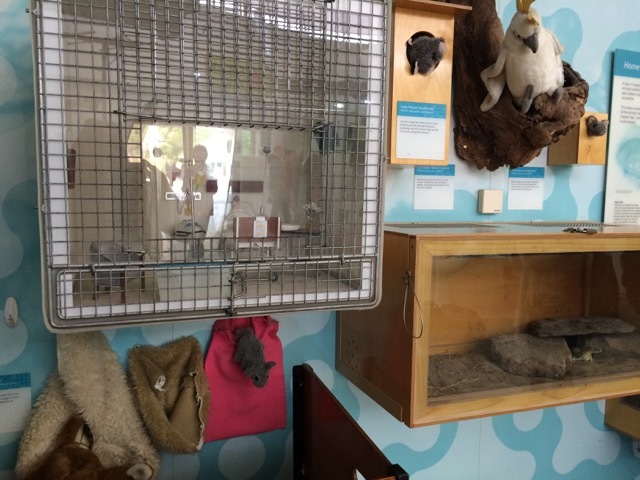 The rest of the hospital shows animal habitats and how they are cared for during their stay as well as operating tables and some animal patients. Lots of fun! Another new area which we hadn't seen before was Lunar's Secret Forest where little ones can venture into the world of the Leadbeater's Possum and make a pact to stop its extinction. Story time sessions take place on some days here too. We had visited the Nature Play area in the past and of course had to visit this great playground again. There is a large sandpit area with two tube slides, some diggers and trucks, a dinosaur digging area and some areas where small as well as big kids can play, climb and hide. 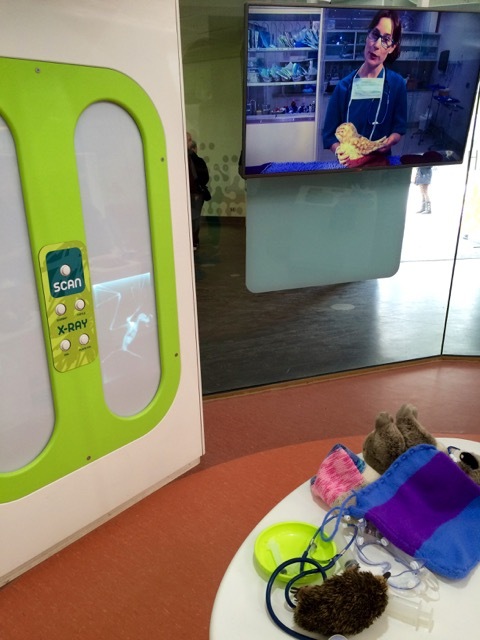 We also noticed the Sanctuary's new parents' room called The Pouch (pictured below) right next the entrance. There are change tables in the disabled toilets throughout the zoo as well as another parents room located next to the Sanctuary Harvest Café. If you intend to visit the Healesville Sanctuary, make sure the weather is nice on the day as this zoo is fully outdoors apart from the Wildlife Hospital and café areas. On weekends and special events, things get quite busy so it's best to head there early to avoid the crowds and get a park. Pack a picnic to enjoy and lots of snacks for your little ones. The Spirits of the Sky show is pretty popular so best head there early. The Tales from Platypus Creek show is in a small arena so head there early too. For more information about Healesville Sanctuary, head to the zoo's website so you can plan your visit. > For more parents rooms, go to our dedicated page. > For more ideas, go to our daily spots list page.